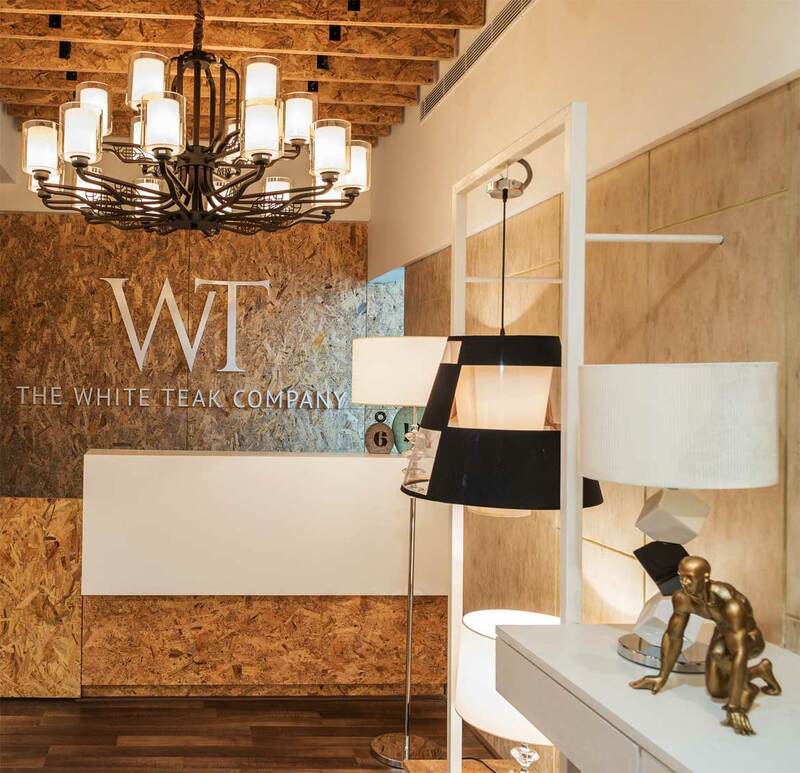 The White Teak Lighting Lounge was recently launched in Bangalore - featuring a curetted selection of products from the online store. 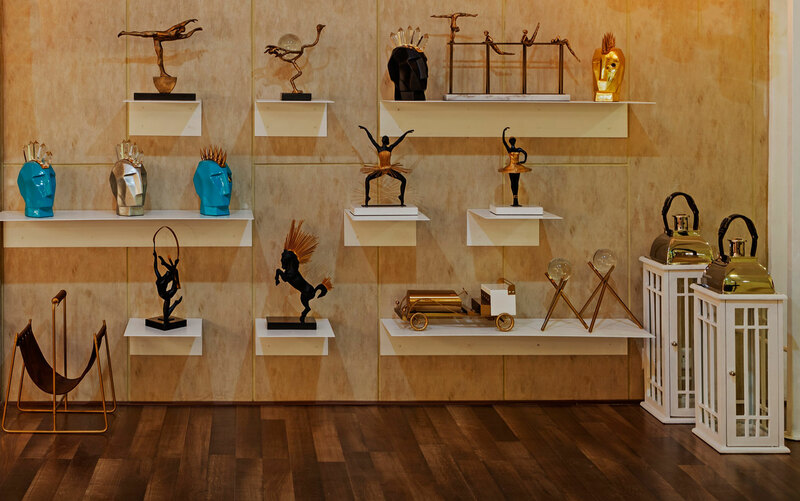 We believe every piece on display is indeed a masterpiece and we wanted it to emerge as such. 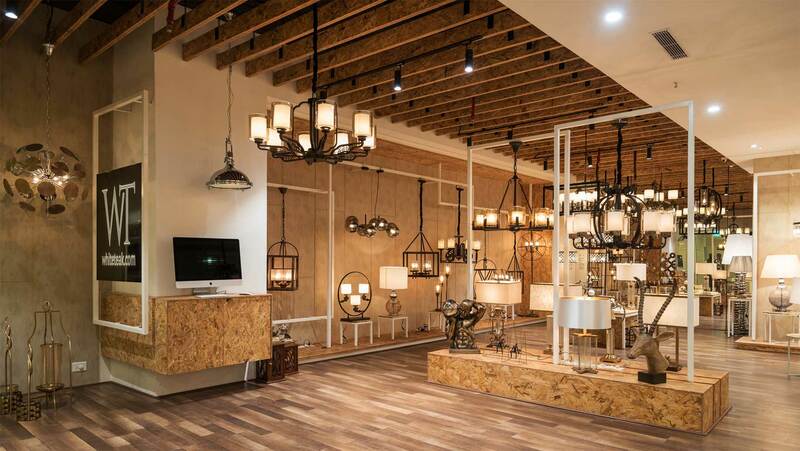 Every frame, focus light, and walkway has been designed to be aesthetically pleasing without over-whelming you with the pieces on display, and also so as to not overpower the products themselves. 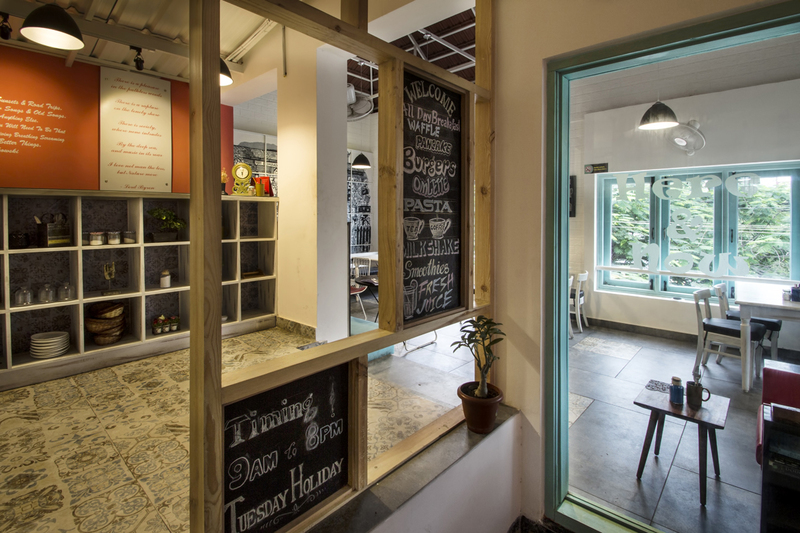 The decor blends in with the products in perfect synergy. How did the decor come about? 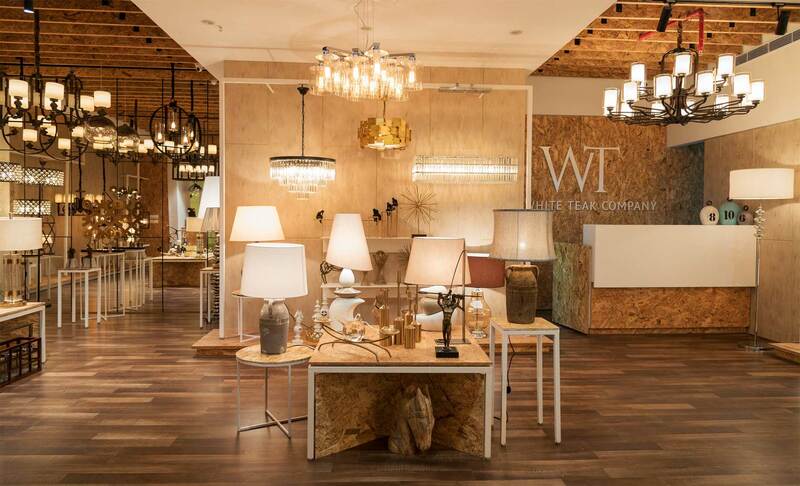 Well, we wanted a look that resonated with the brand name - White Teak. 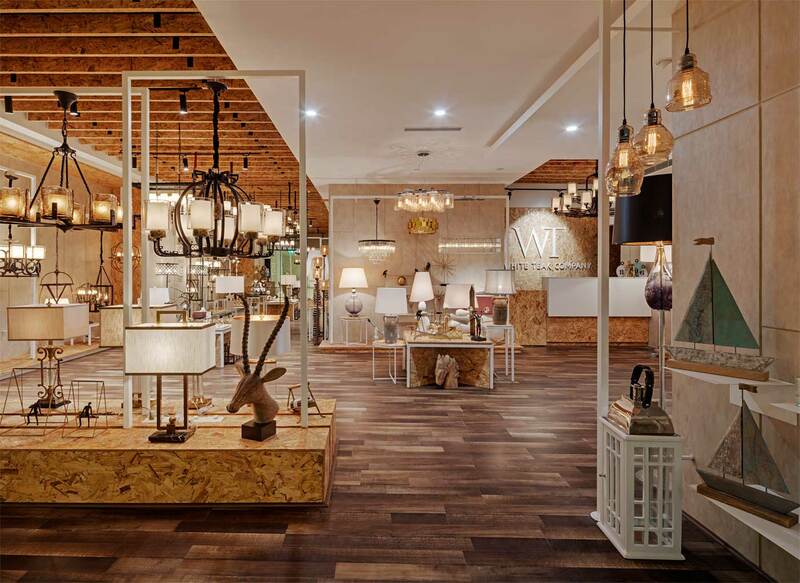 We went with a chic look of white MS frames that form hangers for the ceiling lights, and chipboard everything else. The classy monochrome feel comes from a delicate combination of wood paneling, soft-tone wallpapers and wooden flooring. 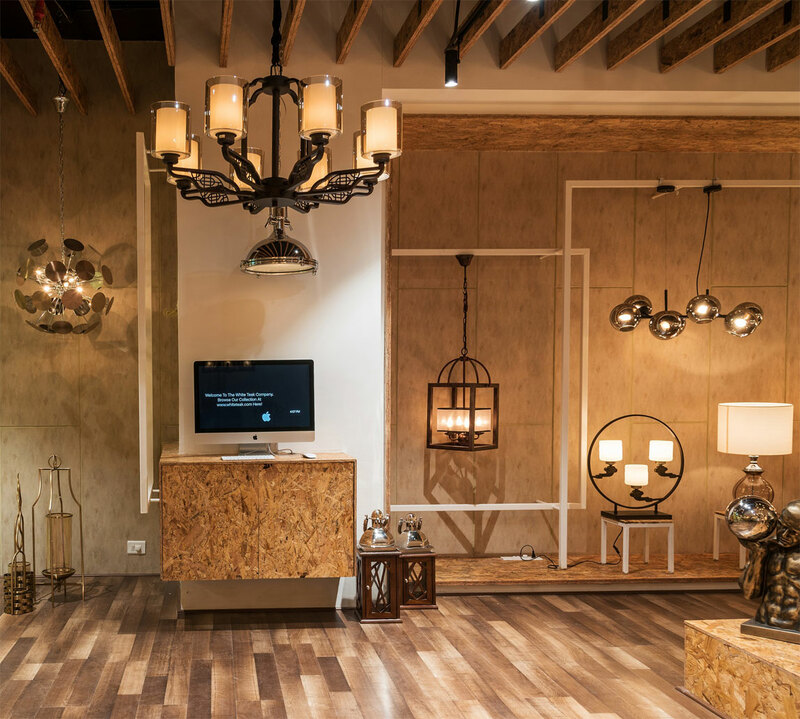 An elegant brown tone background as a wallpaper sets the perfect canvas for our lights to stand out in. 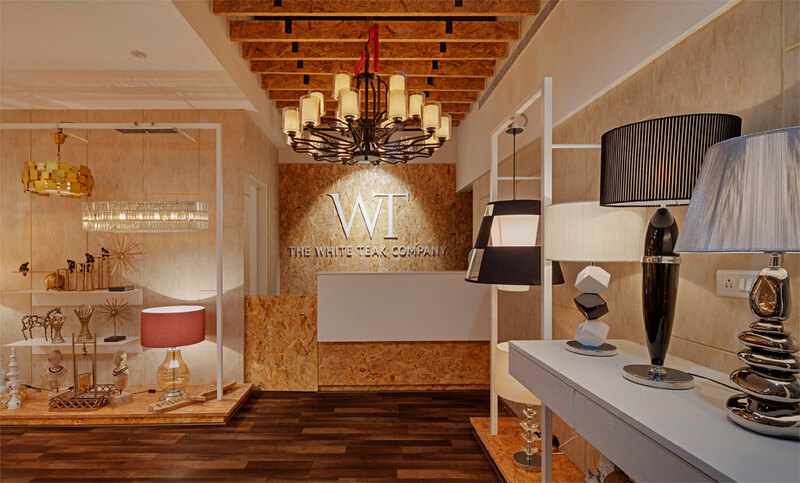 A majority of the lights are hung from floor mounted frames, wrapped in a minimalistic white frame. We've aimed to keep them at eye-level so you can touch and feel the light itself. If you're wondering about whether the bulbs heat up the metal or what is the finish of a part, you can examine this yourself. 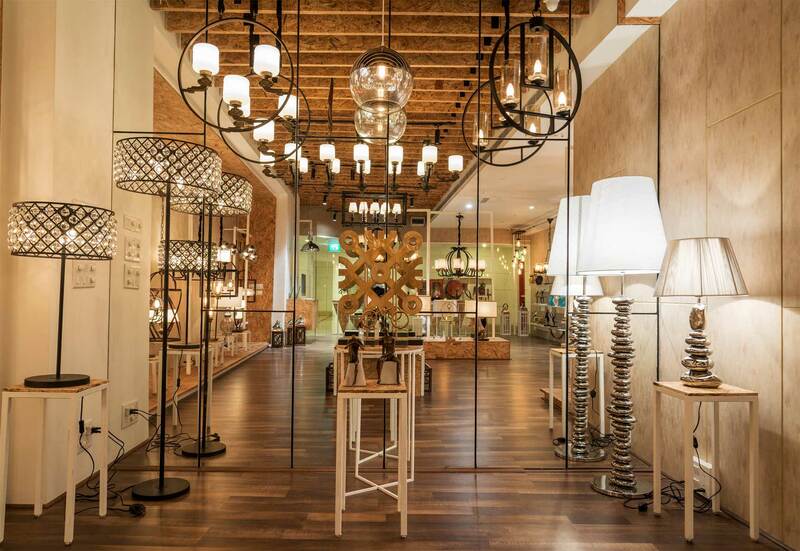 Every light has been fixed with a dimmer to allow you to play around with the look of it even! We've also stepped away from the traditional rule of having "pockets" of Living Room, Bedroom setups, etc. 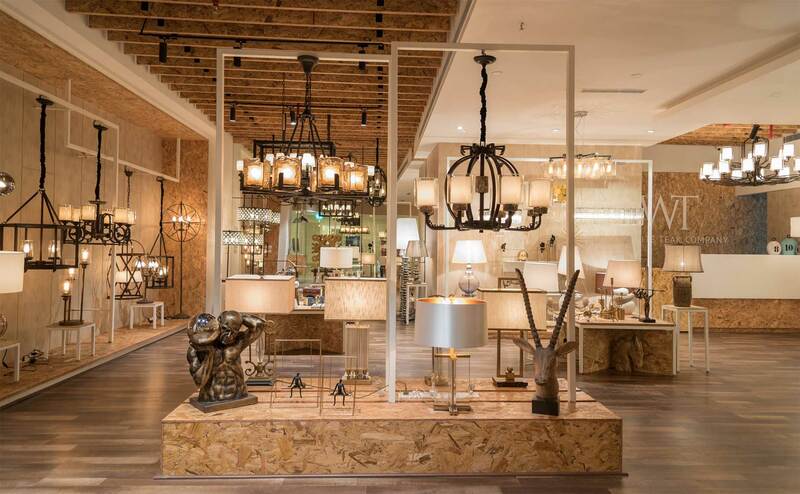 We believe it's important to empower you to make the decisions of where you’d like to place your lights & decor, and of course the store managers are always available to help you make decisions. We've adopted two unique concepts for the first two Lounges - The Hangers for Bangalore and The Grid for New Delhi, promises to be just as distinctive and classy as this one.